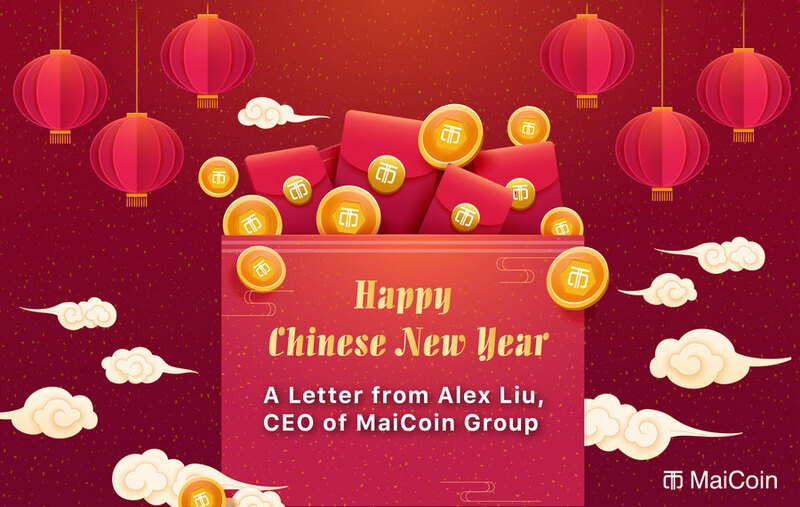 In 2018, MaiCoin Group accelerated our growth momentum, gaining investments from domestic financial holding companies, foreign financial giants, and well-known venture capital firms. As a start-up, we quickly expanded from fewer than 20 employees to over 70. To provide the highest level of security for customers' assets and to comply with regulatory trends, we not only hired cryptography PhDs and cybersecurity engineers but also solicited sales representatives from investment banks as well as marketing professionals from traditional financial institutions. We further established departments in charge of risk management, compliance, anti-money laundering and crime prevention.Many Silicon Valley-based customers greeted the MAX mobile application with astonishment after its launch in July 2018, which in turn followed the establishment of the MAX Exchange in March 2018. The MAX mobile application delivered a smooth interface and perfect user experience that were almost unparalleled worldwide. This shows that MaiCoin Group has once again leveled up in terms of our scale and the solid capabilities of our employees. Meanwhile, a number of regular users also gave feedback on Telegram, indicating that they were deeply affected by the changes made by MaiCoin Group in 2018. They saw MAX Exchange advertisements on the Internet and MRT station media, as well as an increase in the number of events per month. Indeed, we want to be closer to customers' hearts and understand their social networks. In the past six months, MAX Exchange held 22 marketing events, 19 offline events and lectures, and hosted 8 exhibition booths, thereby gaining the highest interactive frequency and Internet volume within the industry in Taiwan. Through face-to-face interaction with our customers, we listened to their voices and feedback to optimize the functionality of our products and continue to deliver better experiences and services. Therefore, after the launch of MAX Token in October, we achieved skyrocketing growth. Referral activities attracted customers to MAX Exchange from all over the world, increasing the number of users 4.3 times in just three months, and the one-day trading volume to exceeding a whopping NT$5.4 billion. In terms of social networks, the number of Twitter and Telegram users also grew more than fivefold. As a real social network-oriented exchange, MAX Exchange awarded users with marketing activities worth NT$3 million in Q4 of 2018. It also issued mining and holding rewards totaling 78,494,815 MAX Tokens to participants of all social networks in the past four months. In 2018, MAX Exchange entrusted customers' NTD-denominated assets to banks ahead of global exchanges. After that, we formed a strong cybersecurity team consisting of cryptography PhDs and experienced cybersecurity engineers. The top priority for 2019 is to upgrade the security of MaiCoin and MAX Exchange. The scope of the upgrade includes network security and wallet security. In terms of network security, we are building information and asset management based on the cybersecurity level of financial institutions. In terms of wallet security, in addition to strengthening the security level of various wallets built on the past security measures of "hot wallets, warm wallets, and cold wallets," we are gradually transferring hot wallets to our self-developed multi-signature hot wallet solution. At the same time, we have also forged a strategic alliance with CyCarrier Technology Co., Ltd., a well-known domestic cybersecurity forensics team, to improve the cybersecurity level and promote the awareness of cybersecurity in the industry. MaiCoin Group's newly established Risk Management Department aims to ensure that all assets are transacted with the most stringent authorization. Internal persons who have access to wallets must open the wallets with hierarchical authorization. The private key of a wallet is also divided into several segments and kept by different persons; that is, no one can take away any customer's cryptocurrencies. Following traditional banks, the Risk Management Department will also use state-of-the-art technology beyond the financial industry standards to detect and block abnormal transactions so as to avoid customers' accounts being misappropriated. In 2019, the anti-money laundering and crime prevention department and the customer services department will also cooperate with the police, prosecutors, and investigatory bodies to block dummy accounts and criminal gangs at the stage of KYC. The security of our customers' assets is always our top priority. ICOs (initial coin offerings) are on the wane, and the rise of STOs (security token offerings) is inevitable worldwide. The success of such a transformation depends, however, on legislation and on regulations issued by government agencies. In 2018, MaiCoin Group applied for licenses for security tokens in Singapore and Hong Kong. MaiCapital, an affiliate of MaiCoin, is the first hedge fund firm in Hong Kong to obtain No. 4 and No. 9 licenses issued by the Securities and Futures Commission (SFC). With these two licenses, MaiCapital is able to raise funds and invest in asset-backed security tokens. MaiCoin Group has stood firm in the world's financial center. Compared with our competitors, MaiCoin Group has a unique niche that makes it a security token exchange. When I was interviewed by the media at the end of last year, I mentioned that I would apply for an STO case in the name of MAX Exchange for a regulatory sandbox. This would be in the hope of bringing out Asia's first successful STO case in Taiwan. We have realized this commitment in 2019. At present, MAX STO is under review. Further business details are currently unavailable. However, this piece of news, I believe, is quite positive for those who hold MAX Tokens currently. While waiting for the review of the aforementioned STO case in the regulatory sandbox, MaiCoin Group has entered into a joint venture with Fundnel and Zilliqa to apply for the establishment of an STO Exchange in Singapore. Through the joint venture, MaiCoin Group allows Taiwan's blockchain technology and talents to be seen on the international stage. Before the results of the sandbox are announced, MaiCoin Group will continuously prepare for the practical applications of MAX Token. This includes fee sharing rewards, listing on the MaiCoin platform, social network-specific activities and rewards, and VIP packages, etc. More importantly, we also plan to allow MAX holders to convert platform coins into MAX (STO Tokens). Stay tuned for the latest updates from MaiCoin Group. There is another exciting piece of news: The headquarters and stores of MaiCoin Group are expected to open in Q2 of 2019. MAX Exchange will be the first exchange in Taiwan to open stores. The stores will provide a variety of services including: (1) Knowledge of blockchains: A beginner's guide, introduction to hardware wallets, the basic theory of blockchains, and introductions to various coins; (2) Hands-on practice: Platform use, currency trends and technical analyses, and coin master demonstrations; (3) VIP services; and (4) Customer service: Face-to-face KYC that accelerates the review, inquiries, and consultations. Those who stake MAX Tokens over a certain amount are also entitled to exclusive activities. We will build stores from scratch, and any progress will be updated on Facebook. 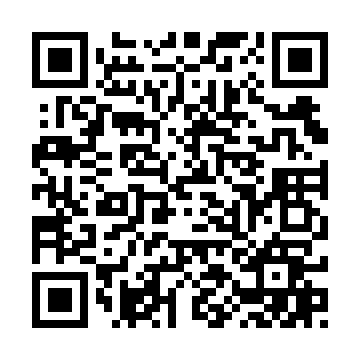 You are welcome to witness this transition and build our social network! MaiCoin Group will work with a leading domestic mobile phone company to launch a blockchain-based mobile phone this year. A user's private key will be stored on the semiconductor chip of the mobile phone, and all transactions will only be executed with two out of three parties' signatures (mobile phone, exchange, and user) to prevent hackers from taking away cryptocurrencies in a customer's wallet. This will be an epochal design that allows customers to keep their own cryptocurrencies without using cold wallets. "It was the best of times, it was the worst of times," as written by Charles Dickens in A Tale of Two Cities. Despite a continuous decline in Bitcoin prices and the rise and collapse of ICOs, MaiCoin still achieved good results in Q4 of 2018. During the dot-com bubble, most players were eliminated but leading companies like Google and Amazon survived. STO is the key to changing the entire industry, and MaiCoin is now taking this opportunity. We look forward to making history with you and leading MaiCoin to greater success!